Whether you want to work, live or play, s1 has all the information you need about Ayrshire. On the west coast of Scotland, Ayrshire is divided into three districts; East Ayrshire, North Ayrshire and South Ayrshire. Just 30 minutes drive from Glasgow, Ayrshire is home to some of the finest golf courses, unspoiled coastlines and is the birth place of Scotland’s best known poet, Robert Burns. Ayrshire used to be heavily industrialised with steal making, coal mining and manufacturing – the more famous being the Johnnie Walker bottle plant in Kilmarnock. Over recent years Ayr’s industry has grown due to the Harbour, which still operates as a commercial port mainly exporting coal. Prestwick, home to Glasgow Prestwick Airport, has a significant number of aviation companies providing hundreds of local jobs. 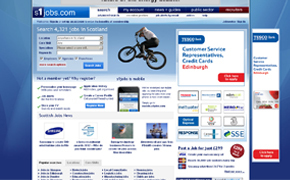 Currently there are over 103 jobs in Ayrshire, advertised on s1jobs. 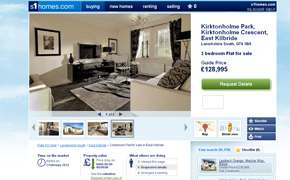 There is a huge variety of housing styles throughout the Ayrshire towns. From the old style thatched roof that can still be found on a few small country homes to the more modern new build, 4 & 5 bedroom family homes. The reality gap in Ayrshire (the difference between asking and selling prices) is the biggest in Scotland with a gap of over £32,000. The average asking price for Q4, 2012 was £150,936 while the average selling price was £118,687. Currently on s1homes, there are over 800 houses for sale in Ayrshire North, 450 houses for sale in Ayrshire South, 250 flats for sale in Ayrshire North and 150 flats for sale in Ayrshire South. There is also an extensive rental market with flats to rent in Ayrshire North and Ayrshire South. With its beautiful scenery, fascinating history and world class golf courses Ayrshire is a popular location with tourists. From ancient castles and market towns to gourmet dining and annual festivals, Ayrshire certainly knows how to cater for its visitors. To see more of what Ayrshire has to offer then check out s1play.com where you can find information on gigs, plays, exhibitions and other events over the next few months. To cater for ever growing number of tourists, Ayrshire is serviced by air, bus, rail, road and sea. Air: Situated in Prestwick, Glasgow Prestwick Airport is Scotland’s only rail-connected airport, with direct link to Glasgow Central Station. Bus: Stagecoach is the most common bus you’ll see in Ayrshire, offering local services to each town and express routes to Glasgow City Centre. Rail: ScotRail operate throughout the local network of stations in Ayrshire and linking to Glasgow Central Station. Road: The M77, also known as the Ayr bypass, is the most common road to take people to and from Ayrshire. It stretches from Glasgow to Stranraer. Sea: There are many ferry ports situated throughout Ayrshire taking passengers to Belfast, Arran and Rothesay. Each district has an extensive education system, with a total of 143 primary schools and 29 secondary schools. Ayrshire also has three colleges; James Watt, Kilmarnock College and Ayr College, and one university; University of the West of Scotland. Throughout the main towns of Ayr, Kilmarnock & Irvine you’ll find big high street brands dominating the streets and shopping centres. In the smaller surrounding towns you’ll more likely to find boutiques and villages shops selling gifts and local produce. Also, you’re not short for a choice of golf shops and garden centres through Ayrshire.